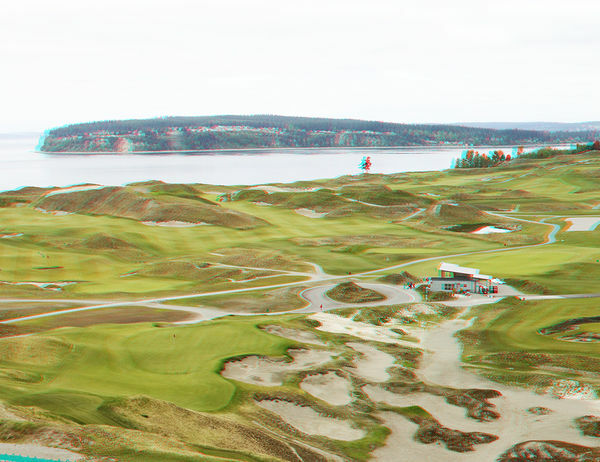 3D - Golf Course Chambers Bay. All three are quite nice and subtle. Good morning, Scotty and thank you. 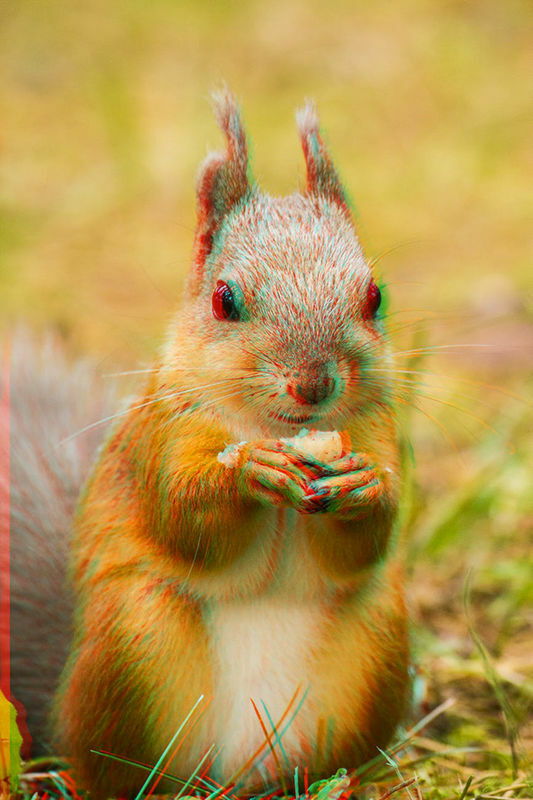 You will need a pair of anaglyph glasses to view in 3D. 3D from two adjacent photographs of the scene. The panoramic is not depicted as an original scene. It is the results of an unplanned panoramic of the two preceding photos with the addition to the right side using Content-Aware. The course is tough but a beautiful venue along Puget Sound with the rugged Olympic Mountain range as a backdrop. No power carts allowed with the exception for disabilities. A real workout to walk the course for 18, especially if like me you don’t always find the middle of the fairways, but a beautiful place to play. I'm not a golfer however I have walked the perimeter of the course and it does have some nice views. 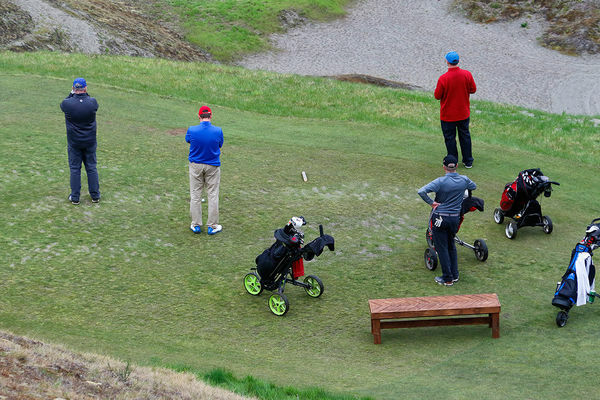 To save you chasing the link: Chambers Bay was subject to criticism for its bumpy greens, unfair course design, and poor accessibility for spectators. Former U.S. Open champion Gary Player called it "the worst golf course I might've ever seen in the 63 years as a professional golfer", and Henrik Stenson said that the greens were like "putting on broccoli". Great shots. Not my kind of course, trouble on the right. As far as the pro golfers are concerned, they are paid to play golf not complain about the course. Unfair course design? Give me a break. Thank for the post, I found the link problem also. That course sure looks challenging. That was the opinion of the golfers in the US Open that was played there in 2015. Since then a different type of grass replaced the original grass. 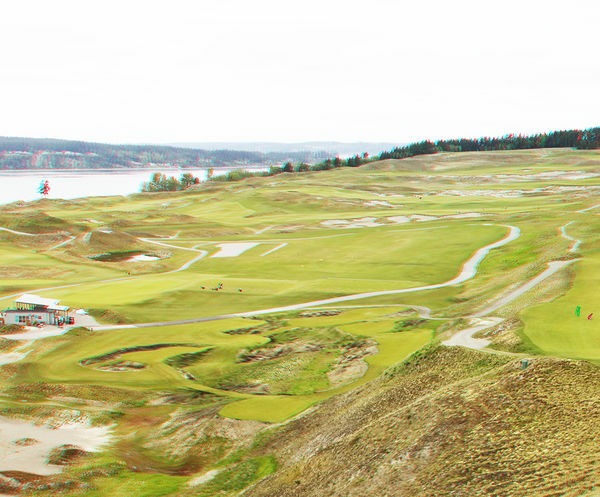 Chambers Bay was subject to criticism for its bumpy greens, unfair course design, and poor accessibility for spectators. Former U.S. Open champion Gary Player called it "the worst golf course I might've ever seen in the 63 years as a professional golfer", and Henrik Stenson said that the greens were like "putting on broccoli". I can see the balls using my binoculars. 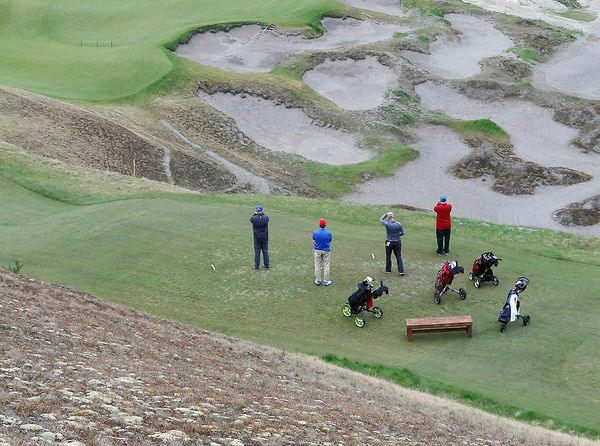 There is two on the green, one in the sand trap and one on the upper ridge from the green. One stroke from the sandtrap and it is now on the green. One of the guys on the green has an eagle.............Yep, it just flew off with his ball. 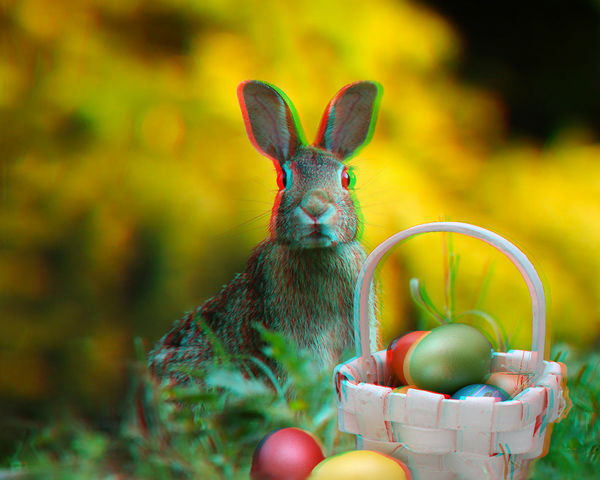 3D - Bunny & Easter Eggs. 2D converted to 3D. 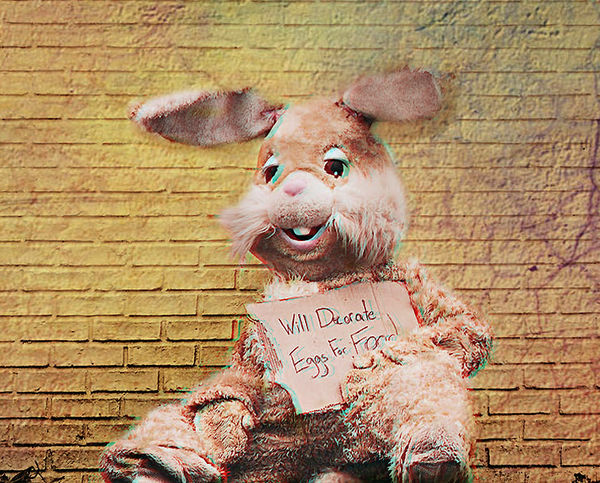 Composite of the bunny and the Easter Egg Basket by Gaylord. 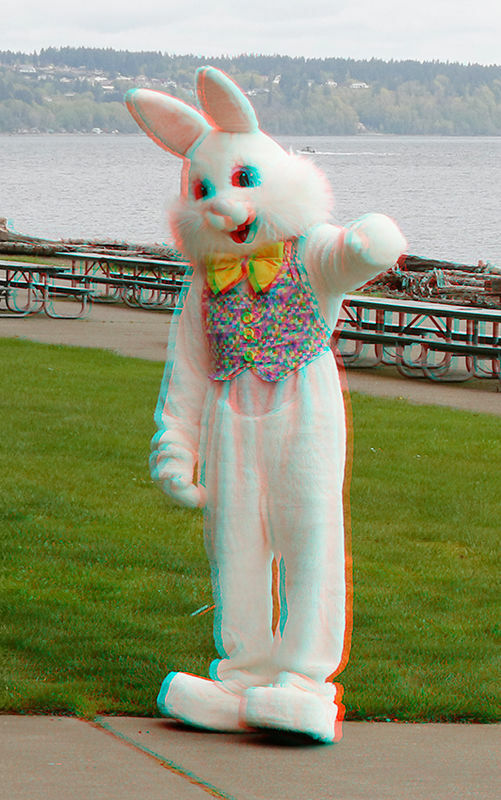 3D - Two legged Easter Bunny. I took this photo today at Owens Beach, Pt. Defiance. 3D - Teal bathing suit. I really like the effect. Well done, Julian.